YOUR INTENSIVE CARE HOTLINE - We decided to withdraw treatment on my mother a few years ago and it still haunts me to this day! It was horrible to watch! Did we do the right thing? What’s the average length of stay in Intensive Care after severe head or brain trauma(TBI)? This question from Marianne is from a 1:1 email counselling and consulting session with me. I have a question that has been haunting me for the last four years. My mother was placed on a ventilator and we were told that she was probably never going to recover. She over the years had many health issues, had already coded once earlier that day and had been bedridden for about 3 years. We decided to remove her from life support and let her pass on. Here is the issue. I thought that the doctor had told us that she would be sedated and she hadn’t been awake for a few days, I didn’t question it. However, after much back and forth asking the nurses when were they going to do this so we can coordinate our family, after about a day they came in and took the tube from her mouth and she began to gasp for air. I felt and still feel like we were killing her and that I should have had them put it back. She gasped for air for about half an hour but it seemed like a lifetime. I can never get that picture from my mind and I need to know if that was SUPPOSED to happen. I have never heard anyone else say that it happened that way when their loved one passed on. What should we have done differently. I cannot seem to let this go until I know what I (we) did. Any help or information that you may be able to provide would be extremely helpful in me getting some type of closure. thank you for your question and thank you for using my 1:1 email counselling and consulting services. I can understand why this question/ situation has been haunting you. It’s not pleasant to witness the death of your mother in the circumstances that you have described. It’s a situation that occurs quite frequently in Intensive Care when it comes to end of life and/or withdrawal of treatment situations, especially if it’s not well planned and not well explained. It sounds to me like the situation hasn’t been well planned and it hasn’t been well explained to you and your family. 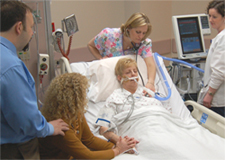 It is really important that an end of life situation Intensive Care is well planned in the first place so that the doctors, the nurses, the Patient and the family can approach this situation with confidence. Whenever there is an end of life situation that can be planned, all parties involved should be in agreement that this is the best option for a critically ill Patient. Now it sounds to me like you and your family thought that having your mother pass away was the right thing to do, because she was bed ridden for a long time and she had many medical issues. You were also told that your mother wouldn’t recover and I would be curious to know on what grounds? From what you are describing, you have also thought that seeing your mother suffer on a ventilator in Intensive Care was just too much too endure and you felt like “withdrawing treatment” and “removing the breathing tube” and letting her pass on was the right thing to do. And of course, the Intensive Care team telling you that your mother most likely won’t recover set you up in the direction where there was the point of “no return”. 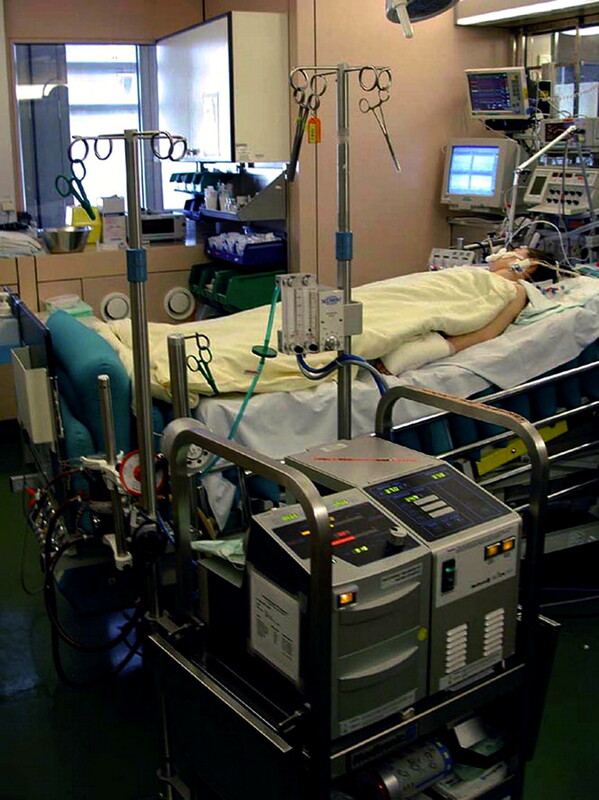 Now, here’s what you need to know about end of life situations in Intensive Care. First of all you need to know if you are dealing with a “real” or a “perceived” end of life situation. After you and your family have come to the conclusion that you are dealing with a “real” and not a “perceived” end of life situation, you and your family could have confidently said that you think it’s “in the best interest” for my mother to have the breathing tube removed and let her pass on. It sounds to me like you have done that and then you were very surprised in the approach where you witnessed an end of life situation where you felt like your mother was unduly suffering in the last few minutes of her life. If you have followed my blog or the “Your questions answered” episodes for any length of time you would have heard me mentioning over and over again that whenever it comes to your critically ill loved one inevitably approaching their end of life in Intensive Care that you want to have an end of life situation on your terms. In nearly 20 years Intensive Care experience in three different countries where I literally worked with thousands of critically ill Patients and their families and where I also worked as a Nurse Unit Manager in Intensive Care for over 5 years and now in my 1:1 counselling and consulting practice at INTENSIVECAREHOTLINE.COM, I have seen way too many Patients and their families getting into end of life situations that turn out to be horrible or that weren’t “real” end of life situations to begin with. The reality in Intensive Care is that unfortunately around 6-10% of Patients are not surviving their stay in Intensive Care. Most of the time when it comes to end of life in Intensive Care, it is poorly planned, poorly communicated and also poorly executed for a number of reasons that I will come to in a moment. Whenever the decision is being made that it really is “in the best interest” of a critically ill Patient in Intensive Care to have them approach their end of life, the Intensive Care team often wants to rush things because as I explain in numerous of my blogs, articles, Videos and Ebooks, the Intensive Care team’s “hidden agenda” is not your agenda. Your agenda is to have an end of life situation on your terms where you can get your family together and make sure that you have made an informed decision, that you have peace of mind, control, power and influence before, during and after an end of life situation. It sounds to me like you’ve had very little of it and it sounds to me like the process was not well explained to you and it was extremely poorly executed. I’m not sure whether at the time you and your family had all of their needs met. Again many families when faced with an end of life situation want to have their religious, spiritual, cultural and other needs met when they come towards the end of a life of one of their loved ones. This could also include to have a loved one pass away at home instead of Intensive Care and I come to that in a moment. You haven’t mentioned that so I’m not sure if your needs had been met in this situation. Once you are comfortable with what’s happening on a religious, spiritual, cultural and on any other levels that are important to you and your family then the Intensive Care team should have started to prepare your mother for the end of life situation. They could and should have done this by making sure she’s very comfortable so that she can pass away peacefully. Now, the situation you have witnessed is an awful situation because I have witnessed similar end of life situations in Intensive Care to the one you’ve described and it’s not very pleasant to watch at all. The things the Intensive Care team should have done that would have prevented your mother from suffering and from struggling when she was approaching her end of life was that they should have given her adequate sedation and pain relief. The drugs of choice for adequate pain relief and sedation in an end of life situation are Midazolam(Versed) for sedation and either Fentanyl or Morphine for pain relief. If your mother would have been given sufficient amounts of either Midazolam(Versed) for sedation and Morphine or Fentanyl, she should have been able to pass away peacefully without gasping for air. 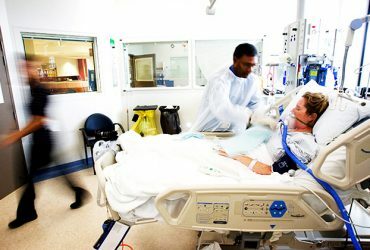 Unfortunately, most Intensive Care Units are pretty poor when it comes to communicating and then also going through end of life situations because they are often rushed and it also takes experienced and compassionate staff to make sure they are carrying the end of life situation out with diligence, skill, empathy and compassion to make sure that Patients don’t suffer in the final moments of their life. By the same token, it’s also important that families of critically ill Patients feel that they know what’s about to happen and how it can be ensured that their loved one isn’t suffering during their final moments. To me it sounds like neither was the case during your mother’s passing. And again, I have said it over and over again, you want to have an end of life situation on your terms and not on the Intensive Care team’s terms. I have said over and over again that many families in Intensive Care when faced with a “real” and inevitable end of life situation are leaving Intensive Care bitter and resentful which is what happened in your situation. You are to a degree bitter and resentful towards the situation because it still haunts you after four years. And that’s fair enough, you didn’t know what to look for and you trusted the Intensive Care team blindly. You don’t know what you don’t know and that’s OK.
Now it’s of course never too late to shine the light on what could have happened and the reality is that you could have also looked at options such as INTENSIVE CARE AT HOME to let your mother pass away at home. Again, if you look at the statistics and the surveys they all suggest that 75% of the population in western countries want to die at home if given the option and yet less than 15% actually do die at home in western countries. Therefore, INTENSIVE CARE AT HOME is filling a need for Patients and their families. Last but not least, it doesn’t surprise me that you’ve had such a bad experience with the passing of your mother and it doesn’t surprise me that the end of life situation of your mother was handled the way you have experienced it. Again, I have seen many similar situations during my clinical practice because end of life situations are handled very poorly in most Intensive Care Units. Always keep in mind that even in end of life situations in Intensive Care the number one priority for an Intensive Care Unit is to get what they want and not what you want!!! They want their beds, their staff and other resources including money $$$ working efficiently for them and therefore the sooner your mother had gone, the sooner they could have used those resources to move on to the next thing. Again, you just don’t know what you don’t know and what’s happening “BEHIND THE SCENES” in Intensive Care and the way the Intensive Care team is managing their “hidden agenda” tends to be so powerful that you have no idea what’s really happening in Intensive Care unless you start reading my blog! Fair enough, you and your family have made the decision at the time to let your mother go and I’m sure you’ve made the decision in good faith only to become very disappointed. But always keep in mind that the Intensive Care team’s agenda is not your agenda and that their main driver is money $$$, bed management, politics, hierarchies, staff and other resource management and they are most of the time not interested in you and your family making an informed decision, have peace of mind, control, power and influence. Many if not most end of life situations in Intensive Care are poorly planned, they are poorly executed and they are also often rushed, which is what I believe unfortunately happened to your mother. It also sounds to me like you and your mother were dealing with inexperienced staff that had little empathy, otherwise they would have planned and communicated better! I really hope this helps Marianne and you now can get some closure on this.